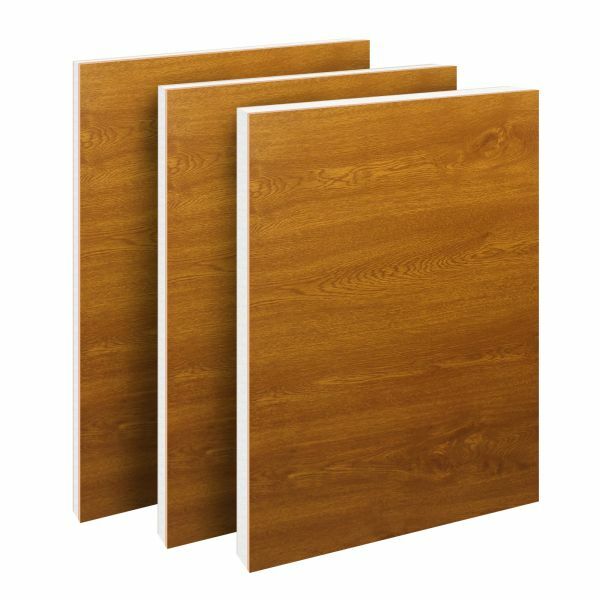 Product information "Golden Oak uPVC Flat Door Panel (700mm x 900mm)"
Available in multiple thicknesses and finishes! Heat-resistant and fire-retardant technology with added reinforcement. 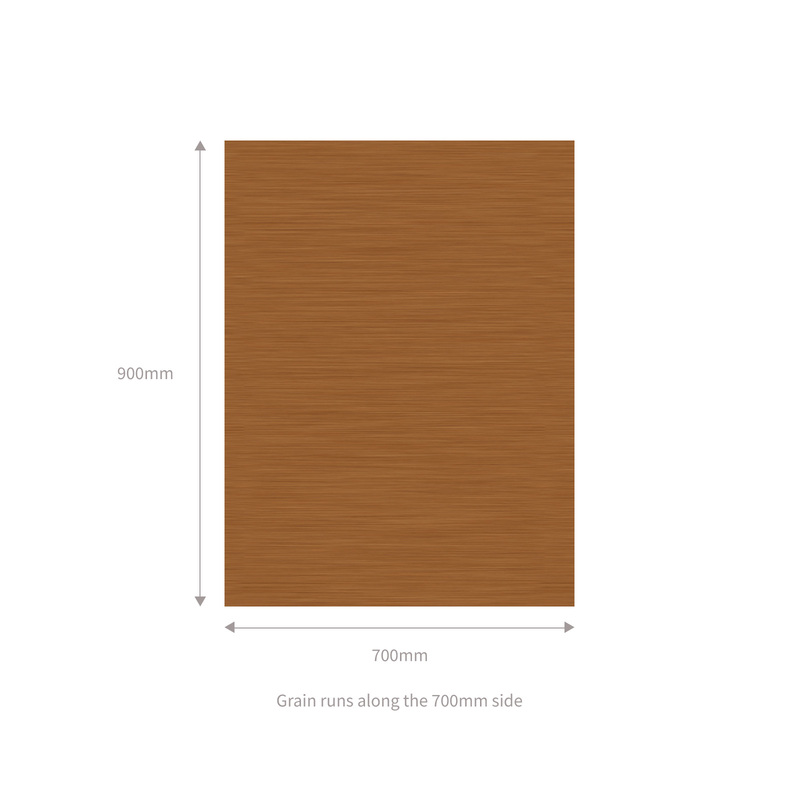 Golden Oak reinforced flat PVCu infill panel with authentic UV stable woodgrain. An easy to install MDF strengthened replacement for damaged panels, replacement of glass units or removal of cat flaps. 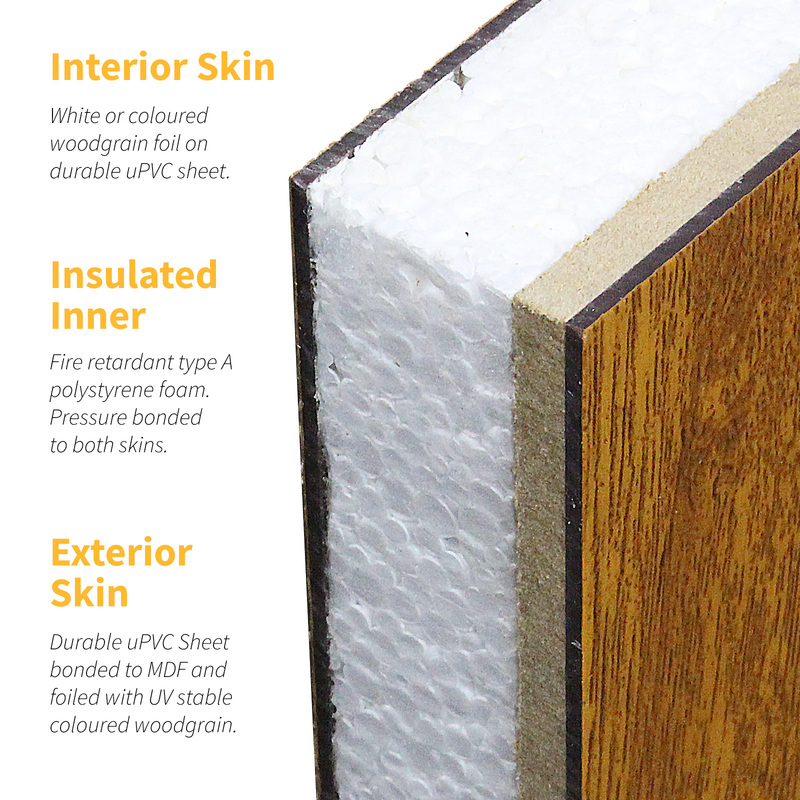 The insulated interior of this panel, manufactured with advanced technology techniques bonds together fire-retardant type A polystyrene foam and MDF using a vacuum formed and pressure bonded process to add superior strength and security to both uPVC skins. The exterior meanwhile, available in a choice of 2 finishes is composed of 2 highly durable uPVC skins, bonded to the internal core while the heat resistant technology of the foiled woodgrain finish helps maintain the integrity and protect from blistering and cracking, thermal distortion and UV discolouration. Please note the grain runs along the 700mm length of the panel. Guaranteed up to 5 years against cracking and UV discolouration. Manufactured in accordance with BS 476 Part 7 - Spread of Flame Class 1 and BS 4735, with self-extinguishing fire-retardant materials and fulfils Part L Building Regulations. 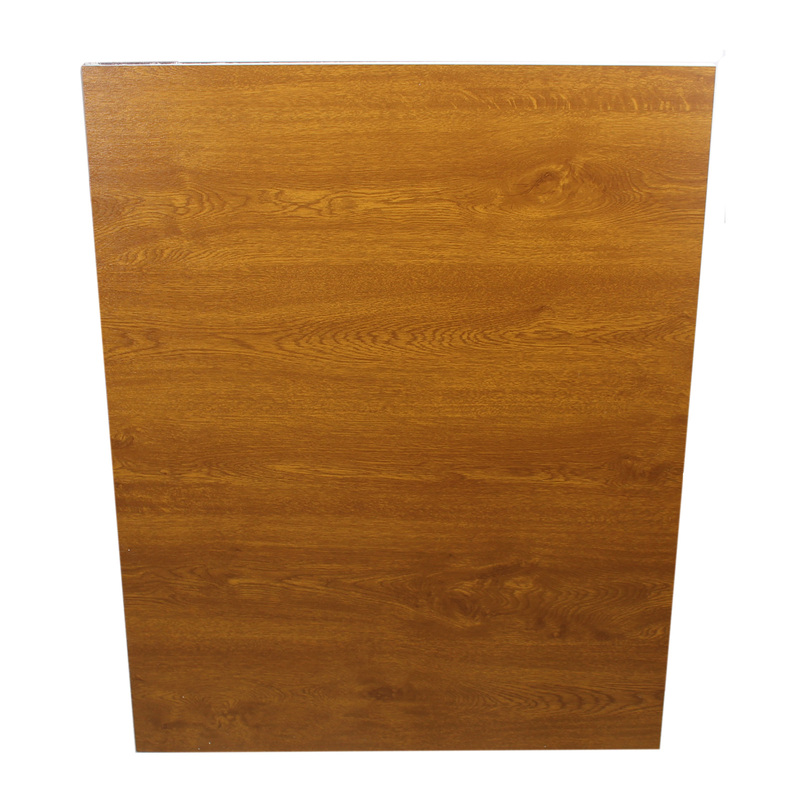 Related links to "Golden Oak uPVC Flat Door Panel (700mm x 900mm)"
Customer review for "Golden Oak uPVC Flat Door Panel (700mm x 900mm)"